The next 25 years? They’re starting off awfully cute. The world’s largest collection of mustards and mustard memorabilia keeps growing. 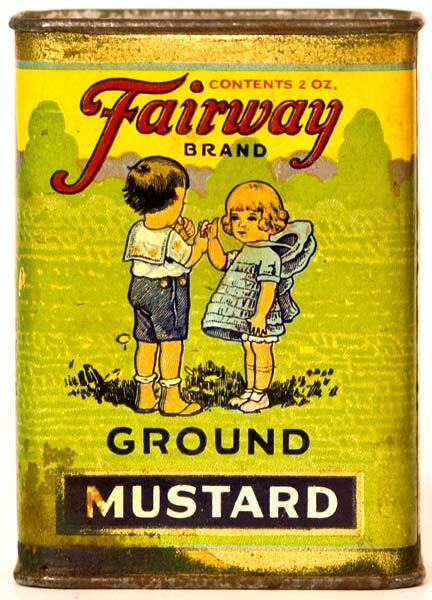 Our latest acquisition is this drop-dead adorable tin of Fairway brand dry mustard. Despite warnings from the accountant, the Curator could not resist buying this gem. Help maintain the habit with your donation to America’s favorite condiment museum. May we suggest a tax-deductible gift of $25 in honor of our first quarter century of mustard merriment?